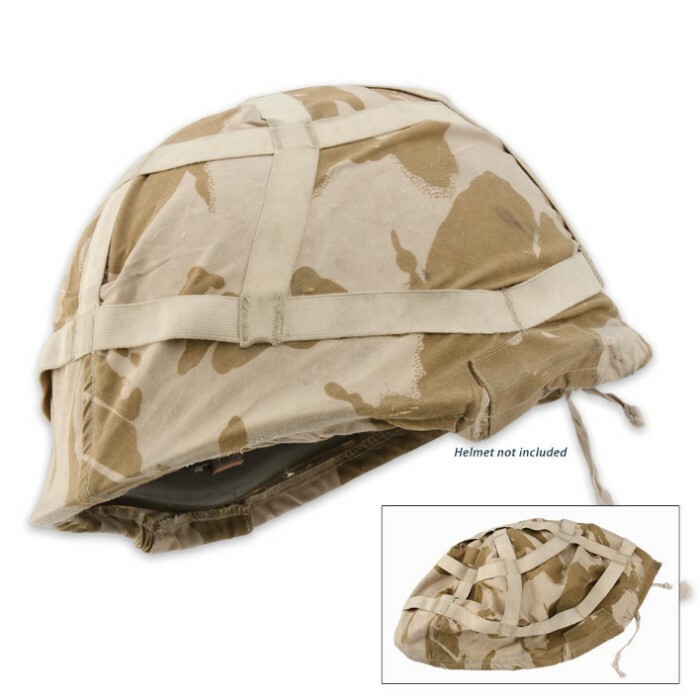 British Military Surplus Used Helmet Cover Desert Camo | BUDK.com - Knives & Swords At The Lowest Prices! 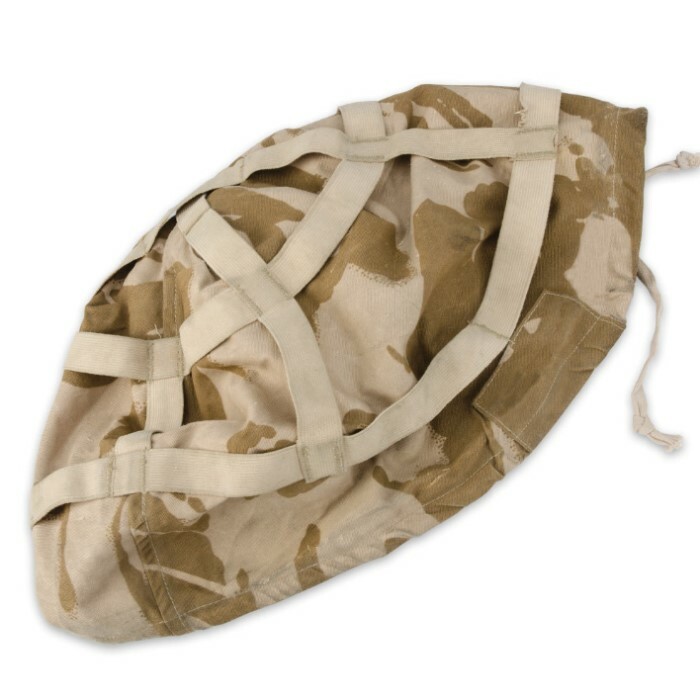 Cover your boring old helmet solider-style with this British military surplus used helmet cover. This helmet cover features elastic straps to achieve the best fit. The classic desert camo pattern is the real deal, making this helmet cover a must-have accessory for the military enthusiast. The polyester blend material is lightweight but durable. Used but good condition.